Composite GRP External Door Set. One-Stop solution, the door and frame assembly come complete ready to install. Eight vertical panels. One central vision panel. Express range – Ready to deliver from stock. Choose left hand or right handed opening. Speedwell Grey Glazed Door Set. 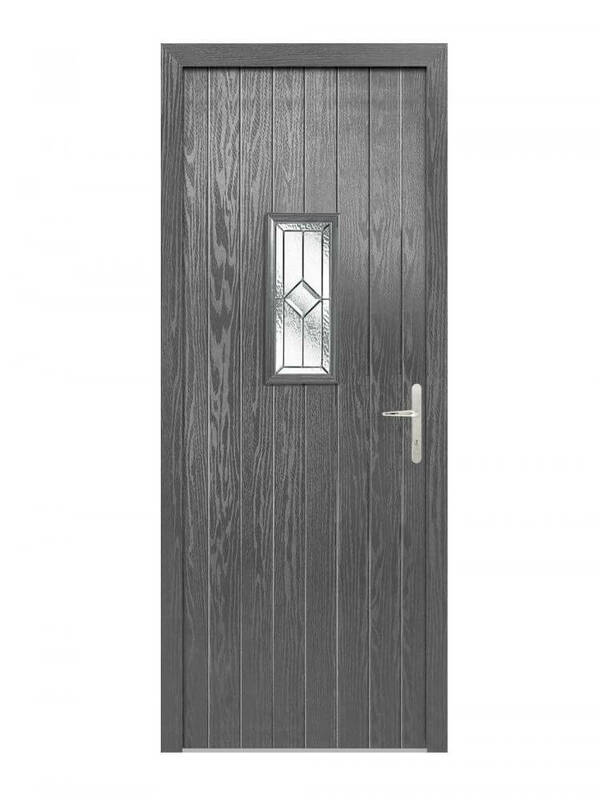 This composite door set design features vertical, slim panels complete with one rectangular, obscure double glazed panel to add a touch of elegance. Leaded Double Glazed. Also comes complete with a matching grey frame.